सिद्धमंगल स्तोत्र हे श्रीपाद श्रीवल्लभ स्वामींचे आवडते स्तोत्र आहे. श्रीपाद श्रीवल्लभ चरित्रामृत ग्रंथात सतराव्या अध्यायात हे स्तोत्र येते. ग्रंथकार शंकर भट म्हणतात," श्री बापनाचार्युलुंना श्री दत्तात्रेयांचे दर्शन घडले व त्यांनी "सिद्धमंगल" स्तोत्र लिहिले. प्रत्यक्ष दत्ताच्या दर्शनाच्या अनुभूतीने गायिली जाणारी या स्तोत्रातील अक्षरे अत्यंत प्रभावशाली आहेत. 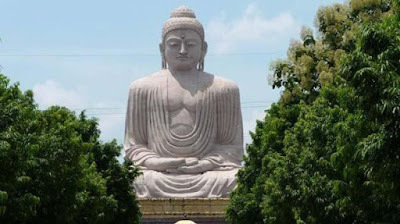 त्या अक्षरांमधील चैतन्य हे युगानुयुगे विलसत राहिल. या स्तोत्रात व्याकरण दृष्ट्या कोणताही दोष अथवा त्रुटी नाही. या स्तोत्राचे पठण करण्यासाठी कोणताही विधीनिषेध नाही. मला ते स्तोत्र श्री बापनाचार्युलूच्या मुखातून ऐकण्याचे भाग्य लाभले. हे स्तोत्र माझ्या ह्रदयावर अंकित झाले आहे. 01. SHANI SHIGNAPUR, Maharashtra. In the entire Village all Houses are without Doors. Even No Police Station. No Thefts. 02. 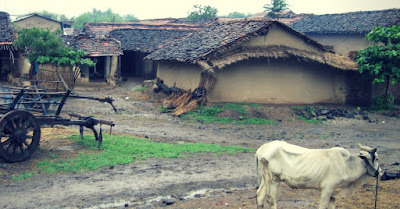 SHETPHAL, Maharashtra. Villagers have SNAKES in every family as their members. 03. HIWARE BAZAR, Maharashtra. Richest Village in India. 60 Millionaires. No one is poor and highest GDP. 04. PUNSARI, Gujrat. Most modern Village. All Houses with CCTV & WI-FI. All street lights are Solar Powered. 05. JAMBUR, Gujarat. All villagers look like Africans but are Indians. Nicknamed as African Village. 06. KULDHARA, Rajasthan. Haunted village. No one lives there. All Houses are abandoned. 07. KODINHI, Kerela. Village of TWINS. More than 400 Twins. 08. MATTUR, Karnataka. Village with 100% SANSKRIT speaking people in their normal day to day conversation. 09. BARWAAN KALA, Bihar. Village of Bachelors. No marriage since last 50 years. 10. MAWLYNNONG, Meghalaya. Cleanest village of Asia. Also with an amazing Balancing huge Rock on a tiny rock. The future is in your hearts (Wow!) 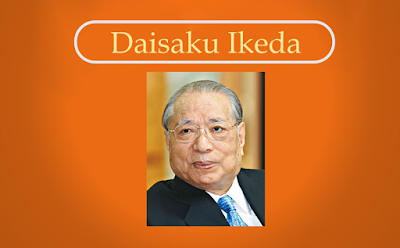 DAISAKU IKEDA (NHR 18). "You all know about the heavenly messengers spoken of in the Buddhist scriptures right? The heavenly messengers are the gods Same Birth and Same Name who are always watching our actions and reporting them to Yama, the king of hell (who is said to judge the dead on the basis of their deeds while alive). When one of these messengers are off reporting to King Yama, the other stays behind to keep an eye on us. They report everything fully and accurately - for example, "Now she's helping preparing for a meeting" or "Now he is chanting Nam Myoho Renge Kyo" or "He's skipped both the meeting and evening prayers". There is no fooling them!😃😃. "What people value as their treasure depends on the place and circumstances in which they live. About what is the most important treasure of the present time? "Throughout the world today, people are feeling a loss of humanity and a sense of purpose in life. These times have also been described as being mired in "intellectual and philosophical turmoil". Because of this, humanity, hope and vitality, "are the treasures of our age" (Wow!). And the philosophy of Buddhism, which people can trust and rely on to manifest these treasures, is the most important, fundamental treasure of all." "Ordinary people keep in mind the words "earnest resolve" and thereby become Buddhas." 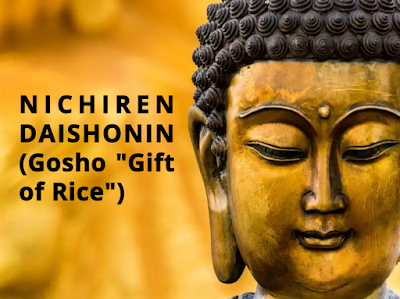 NICHIREN DAISHONIN (Gosho "Gift of Rice"). "Instead of trying to be like this or that, make yourself into a silent, immovable giant. That's what Mount Fuji is." MUSHASHI. "The key to success is to create a strong and shinning self. The important thing is to "resolve" that you are doing to devote your life to kosen rufu and polish yourself and your abilities. That is how you open the way to a bright future. The future depends "entirely" on what the youth can achieve. That is why it's so important for young people to stand up as the protagonists of the future and fearlessly take on challenges that await them. They need to boldly and proudly blaze a great path of value creation. "Nichiren is like the plant, and my teacher the earth." 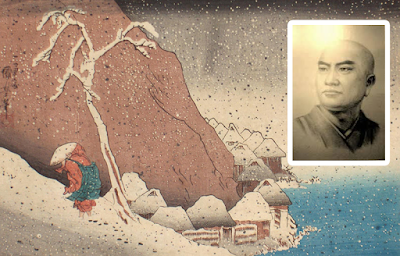 NICHIREN DAISHONIN (Gosho - "Flowering and Bearing Grain"). "When Shinichi visited Atsuta with Mr Toda in 1954, there were no Soka Gakkai members living there. A discussion meeting was scheduled to be held in the village with leaders from Otaru. Several leaders departed Otaru early in the morning by train. But a blizzard was in progress, the bus was forced to halt. They crossed the river, but from there, they had no choice but to walk. "The Atsuta members are waiting for us! Let's go?" they decided unanimously, and began pressing forward through the storm. As the sun set and it grew dark, they kept track of one another by calling out each other's name (Wow!). 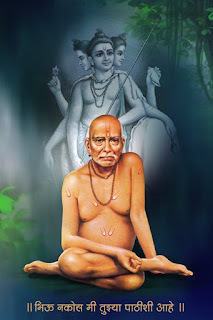 As per "Shripad Shrivallabha Charitra" Guru Dattatreya took 3 Avatars: Shripad Shri Vallabha, Narasimha Saraswati and Akkalkot Swami Samarth Maharaj. 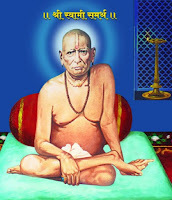 The early life of Swami Samarth like that of Shri Shirdi Sai Baba is shrouded with mystery. For that matter, even Shri Shirdi Sai Baba's advent and early life has not been established. Yet it does not really matter for those who have faith in them. Shri Narasimha Saraswati, about four centuries before the advent of Swami Samarth is believed to be the earlier incarnation of Shri Dattatreya. The 'Guru Charitra' one of the most famous books gives lot of information about Him. 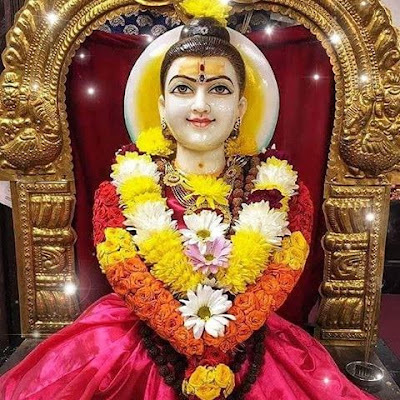 As per the most popular belief, Shri Narasimha Swami, after helping and spiritually uplifting a large number of people over a few decades, went away to the Himalayas for penance and went into Samadhi. In the Samadhi state He remained for about three hundred years. 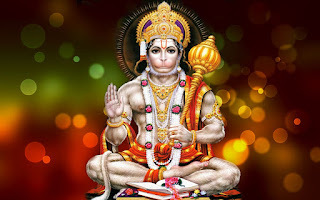 Maruti Stotra (Bheema Roopi) or Hanuman Stotra is a 17th-century stotra, hymn of praise, composed in Marathi language by saint-poet of Maharashtra, Samarth Ramdas. It is a compilation of praiseful verses that describe the many aspects and virtues of Maruti Nandan or Hanuman. There is another hymn to Hanuman called Hanuman Stuti by the same author. shirdi sai baba original photo. When Lord Krishna was born? Who is the father of Lord Krishna? Who is the Lord Krishna? Who Killed The Lord Krishna? Yogiraj Shankar Maharaj Short Biography.